Most of this week has been spent with an impatient lady. Her name is Emma Vånemo. 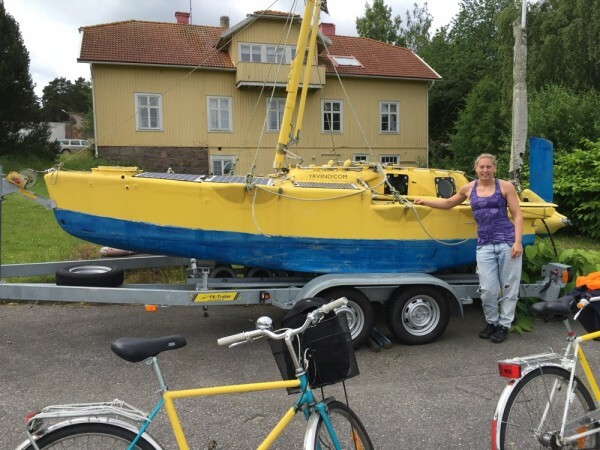 She has been cycling to Cape Town from Sweden alone. Now she likes to row the Atlantic on her own. I advised her to get a small boat and take her time to fit it out. 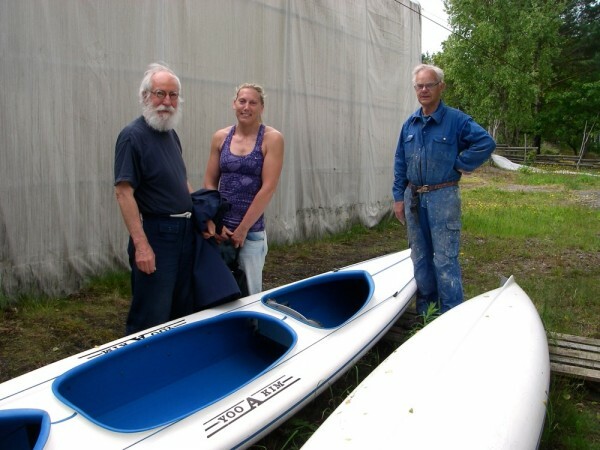 First we went to Vituddens Kanotvarv and spoke to Ingvar and Kåre Ankervik about a big kayak. Their Yooakim at 5.8 m long would be suitable it can load 350 kilo and comes equipped with out rigged oars. 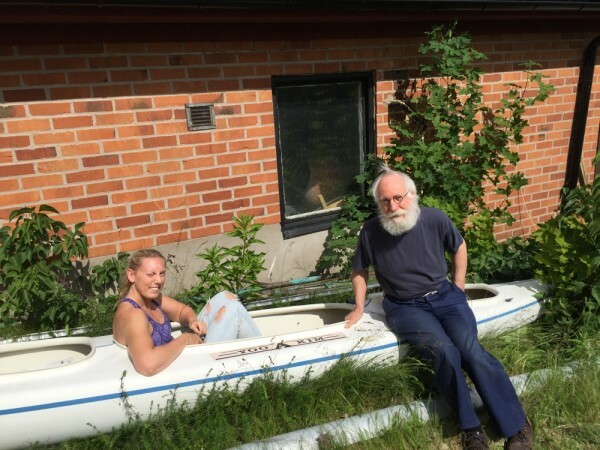 Göran Marström had such a kayak. Generously, he said he would let Emma use it. To make the boat suitable for an Atlantic crossing I advised a sliding deckhouse and two pontoons to give the kayak stability and making her self-righting by hinging them upwards in when the boat kayak capsizes. I estimate it would take a year to do good work of it. However Emma like to leave in the end of this year. “I am not afraid of dying”, she said. I would be sad to loose such a enterprising friend. Emma visiting one of my boats. I wasa glad to be able to keep up with her speed on the bike. With the kayak builder Ingvar Ankervik. The kayak Yooakim in the foreground. Emma gets aquinted with her Atlantic rowboat.